More than 6.5 million people bought copies of Call of Duty: Modern Warfare 3 in North America and the United Kingdom in the first 24 hours of its release pulling in more than $400 million, Activision said today. That makes it one of the largest entertainment launch in history, with sales of more than $400 million. That's an impressively big number, one that approaches the biggest opening weekend for a movie of all time. That record is held by Harry Potter and the Deathly Hallows Part 2. Its reported $483 million take includes the entire world and two days, not just one, so there's a very good chance that Modern Warfare 3's worldwide end up breaking that record too. Modern Warfare 3's impressive sales topples last year's record-breaking release of Call of Duty: Black Ops, which managed to sell 5.6 million copies the day it went on sale. 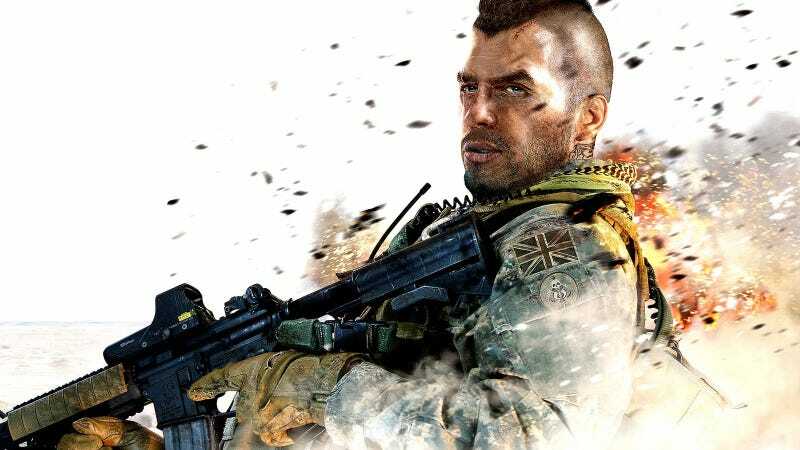 That means Black Ops sold $360 million worth of copies in its first 24 hours of release in North America and the U.K. That compared to the $310 million that Modern Warfare 2 pulled in two years ago by selling 4.7 million copies. "We believe the launch of Call of Duty: Modern Warfare 3 is the biggest entertainment launch of all time in any medium, and we achieved this record with sales from only two territories," said Bobby Kotick, CEO, Activision Blizzard, Inc. "Other than Call of Duty, there has never been another entertainment franchise that has set opening day records three years in a row. Life-to-date sales for the Call of Duty franchise exceed worldwide theatrical box office for "Star Wars" and "Lord of the Rings," two of the most successful entertainment franchises of all time." Eric Hirshberg, CEO, Activision Publishing added, "Call of Duty is more than a game. It's become a major part of the pop cultural landscape. It is a game that core enthusiasts love, but that also consistently draws new people into the medium. It is the most intense, adrenaline pumping entertainment experience anywhere. I would like to thank our incredible teams at Infinity Ward and Sledgehammer Games for making a brilliant game. But most of all, I would like to thank our millions of passionate fans worldwide. We made this game for you." Activision also announced today that they donated $3 million to their Call of Duty Endowment, a non-profit, public benefit corporation that seeks to provide job placement and training for veterans. This latest donation will be added to the $2 million that Activision has already donated to the Endowment, which has provided more than $1.5 million in grants and scholarships to veterans' organizations across the country since it was conceived by Bobby Kotick in November of 2009. Among many of those who like to label themselves as a "gamer", there is no franchise more reviled than Call of Duty. The merest mention of its name sends people flying to post anonymous comments blasting the game as the very model of everything that's wrong with video games today.